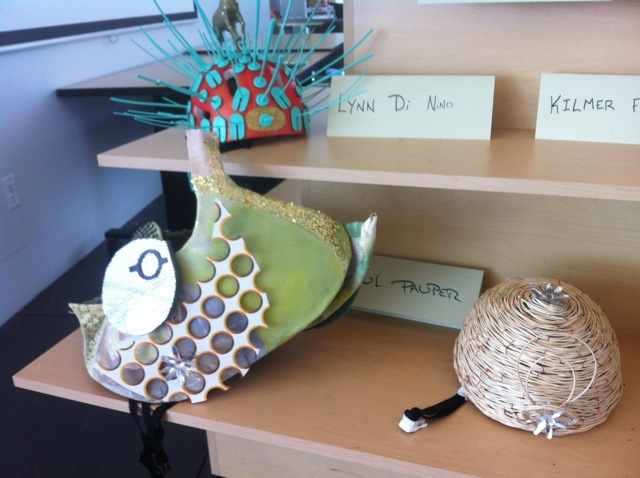 "Participating artists will receive a bicycle helmet to decorate, an assortment of mixed media supplies, receive 20 dollars of credit at Tinkertopia, and an honorarium of 50 dollars for participating. During the event there will be a ballot box for people to vote for their favorite helmet. At 3 pm the first, second, and third place will be announced. 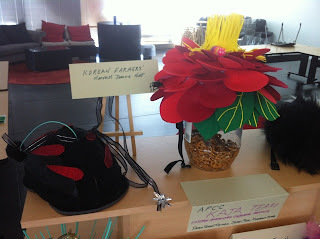 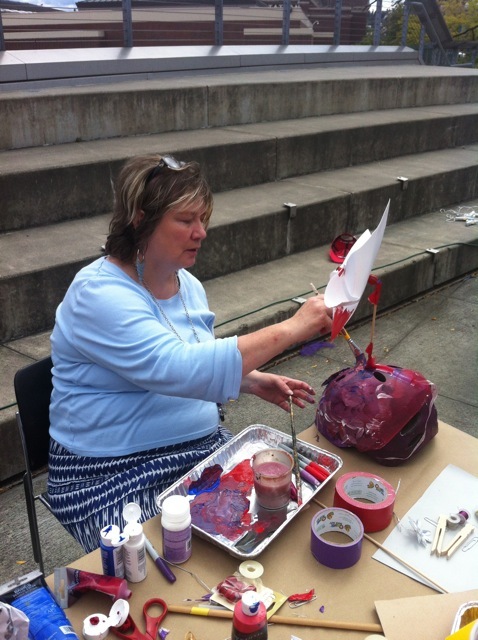 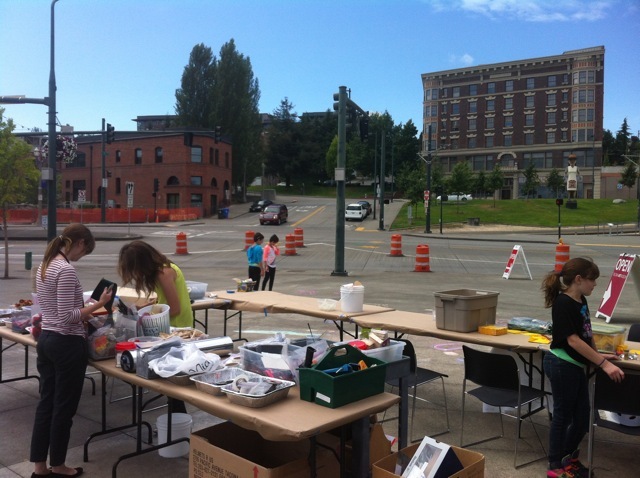 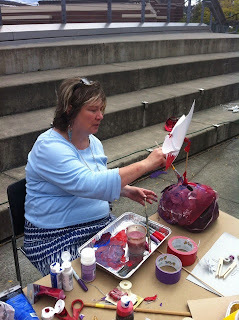 After the festival the helmets will be on display at Tacoma Art Museum in the community art space until September 21. 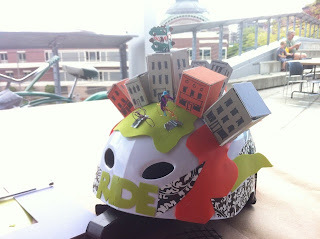 On September 22 during the Dome to Defiance Sunday Parkways bicycling event the helmets will be worn by special guests." 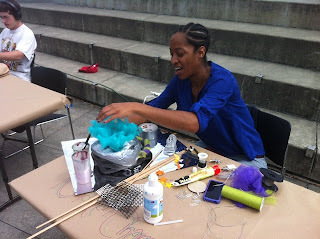 It was a beautiful day to work outside and every artist seemed to have a completely different design concept. 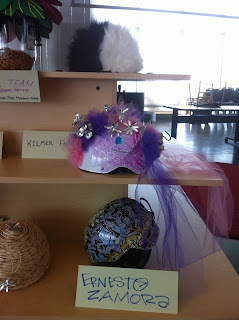 Some helmets were already completed and on display inside the museum. 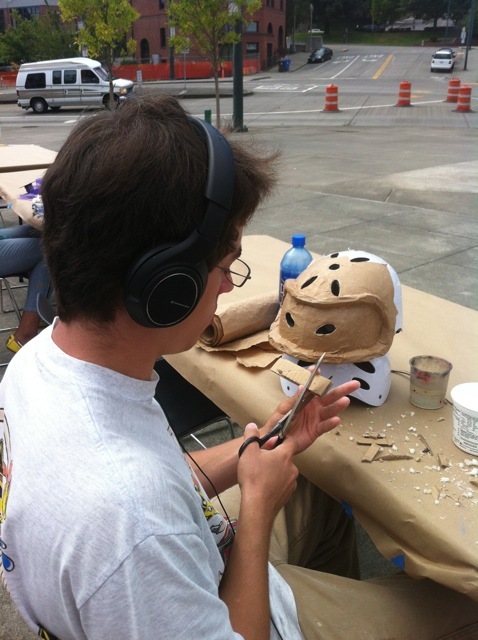 Make sure you attend the Downtown to Defiance event on September 22 to see these works of art in action. 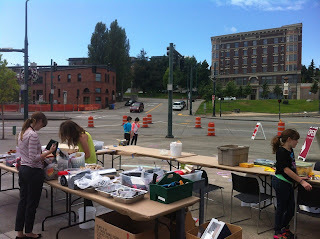 TBR will be there to help with Kidical Mass #5: Point to Point. It's going to be rad.